Last night, Universal Brand Development made a Jurassic-sized statement in Australian high fashion with a runway show event at Australian Technology Park in Sydney, featuring the work of seven of Australia’s most expressive designers. Seven Australian fashion designers (Sarah Joseph Couture, A.BCH, EWOL, Keegan, Leah Da Gloria, Vincent Li, and LunarSand) came together in Australia’s first ever film-fashion industry collaboration for the runway seen in Australia, with each design exhibited elements of Jurassic World iconography – known so well from the big screen – re-imagined as designer couture for the runway and the retail racks. “It was so exciting to see our partnership with these incredibly talented Australian designers come to life. 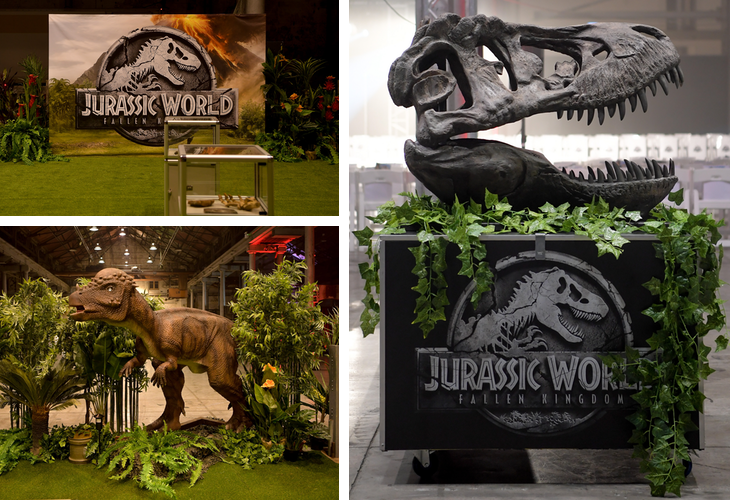 These inspired collections celebrate the upcoming theatrical release of Jurassic World: Fallen Kingdom, providing Australian Fashionists a deeper connection to the blockbuster franchise,” said Jo Pascoe, Country Director, Consumer Products Australia and New Zealand, Universal Brand Development. Unstoppable force meets beautiful objects – the results are bound to be enormous. The collections will be available for expressions of interest and pre-sale online at each designers website or through selected boutiques across Australia in 2018.